You may select from furniture grade Oak cherry or Maple wood species. All machine work has been completed, mounting holes, and peg holes are all pre-drilled. Comes ready for final finishing. May require some finish hand sanding. These are the same high-quality peg racks that we finish, we simply remove these before they go to finishing department. 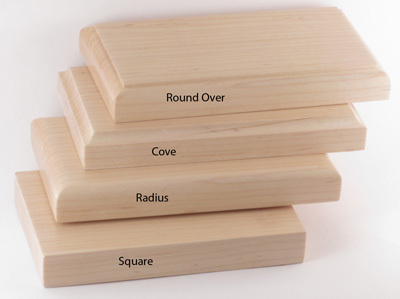 Solid wood pegs and rails 100% Made in the USA. As always we are happy to make you a custom size or a custom peg layout to meet your exact needs. I find it easier to apply the finishes prior to installing the pegs. Do not paint the tenon which is the part of the peg that goes in the hole. Do not paint inside the hole. A small amount of wood glues should be used to attach the pegs. The glue should be applied to the sides of the hole. Do not fill the hole as this will prevent you from installing the pegs. I push down and use a twisting motion when installing the pegs. If the pegs are tight you may use a slight rocking motion to help seat the pegs from time to time I find it necessary to sand the tenon a little bit to make the pegs fix in the hole easier. Keep in mind we want a good fit, to loose and the pegs will come loose. These shipped rather quickly and were so easy to assemble. They were evidently crafted with care and skill. I'm very impressed. Very happy with the unfinished rail+shelf I ordered. With no paint on it, I can see it's well made and well finished. And built of maple, where poplar would have done. 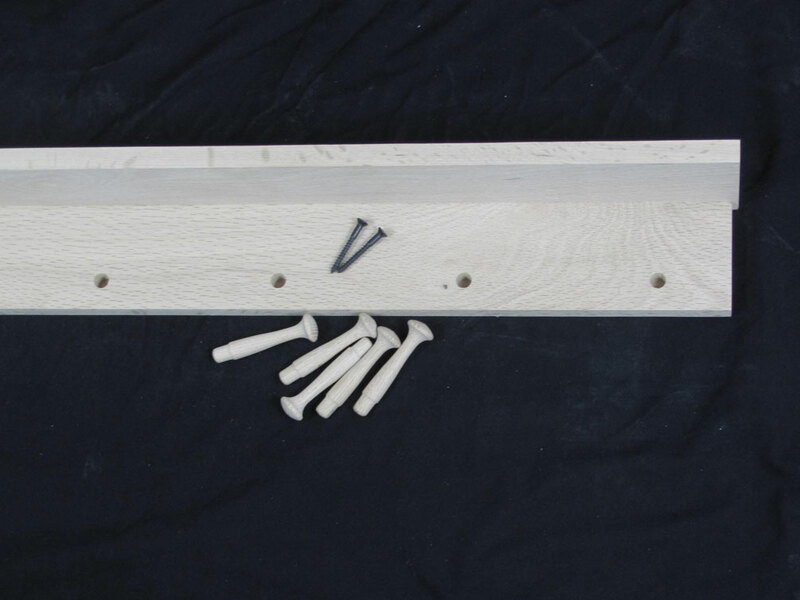 Our unfinished peg rack with shelf was shipped instantly and we had it installed within days of ordering. We were thrilled with the quality and service! Highly recommended. Oak would be the best choice if you are looking for the most grain in the wood. As we are the manufacturer we can certainly make these custom size or you. Plan on 4 to 5 business days to get these made for you plus shipping time. Send me a list of the sizes that you will need and I can get a quote together for you. Your little princess has the perfect room, complete with a pink bed and fairytale sheets. There is just one thing missing. Where will she put her tiaras? A princess needs the perfect place to place her crowns, but you don’t want just some other generic shelf you find at the store. That’s why you need the unfinished peg racks with shelf. You can stain or paint it to match her pretty pink room and it will be the perfect place for her tiaras as well as her superhero cape. After all, one day, she is a princess, and the next day she is power girl - hero for all the puppies and kitties in the world. Why not have her help you finish it, create the perfect piece for your little girl’s room.